Any coast trip North is not complete without a visit to Byron Bay – even at the most packed and crazy time of the year, Christmas to New Year. 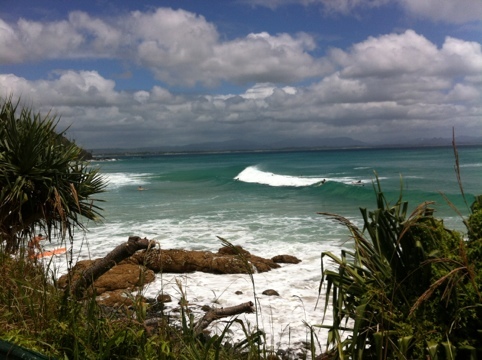 Wategos and the Pass were producing the bluest waves and the water feels like champagne. Since 2008, there’s been another reason to get to Byron Bay. Stone & Wood commenced operations in the industrial zone of Byron, which can be found off the Ewingsdale Road. 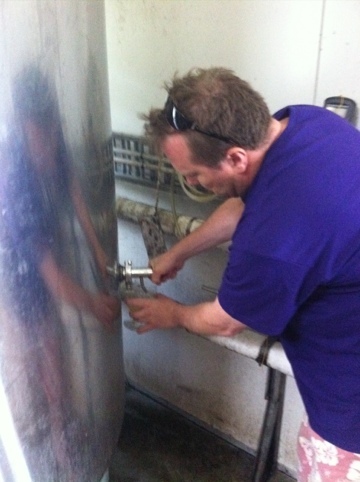 They operate a cellar door and it is possible to buy beer as close as possible to the source. Ross, one of the founders, very kindly gave me a sample of the almost finished latest batch of Pacific Ale straight from the vat. 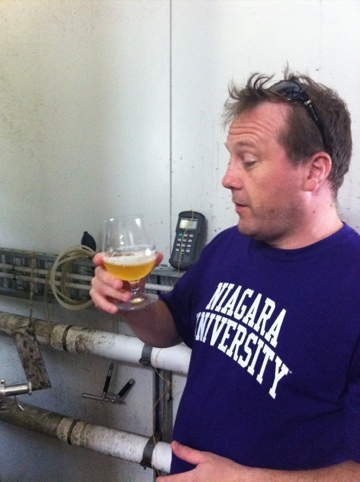 It still had to be carbonated, so was flat, but that unmistakeable hoppy freshness shone through. 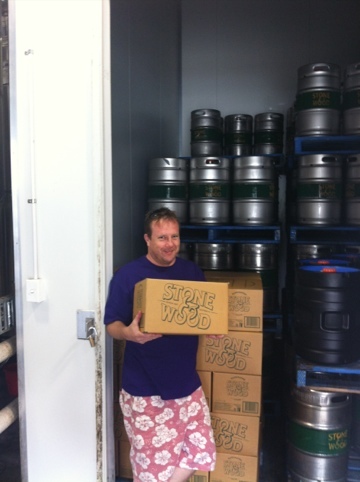 That’s Ross in front of a whole bunch of cartons waiting to be filled with 24 stubbies of Byron Bay sunshine. The boys at Stone & Wood sound like they’ve had a great 2011. 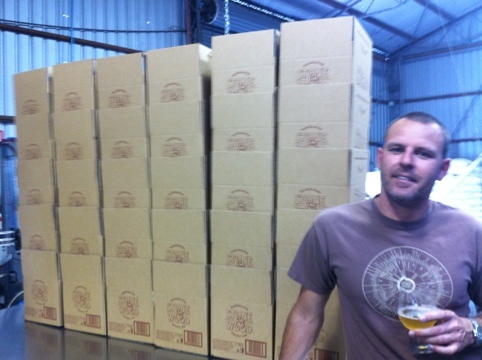 This year’s edition of Stone Beer was one of my favourites of 2011 and they’ve made good inroads into NSW. Even the Steyne’s got ’em on tap. Thanks for the hospitality boys and here’s hoping 2012 is an even better year for you.